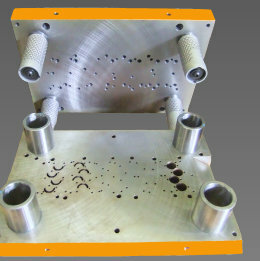 Our facility is well equipped with the latest CNC flame cutting machines, rotory grinders, and CNC machining centers. 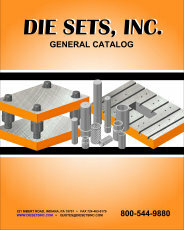 Die Sets, Inc. has the capability to stress relieve, add bolt holes, milled pockets, milled edges, or virtually any other machine operation eliminating the need for secondary machining. 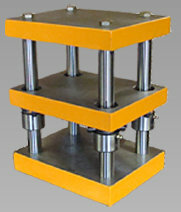 Send us a drawing or CAD file and we will make a custom die set to your specifications. At Die Sets, Inc., there is always a knowledgable person ready to help you. Most die sets can be quoted right over the phone, and standard sets ship in about 3 days! 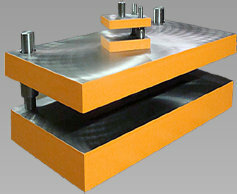 Call or email us for a quote on your next die set, and you will see that we can compete with anyone on quality, price, and delivery.